« Watch Lifted – Winter Storm Warning Now in Effect From Thursday, 2/13/14 @ 7:00 a.m. Through Friday, 2/14/14 at 6:00 a.m.
* Locations…Pike County In Northeastern Pennsylvania And Sullivan County New York. * Accumulations…Storm Total Snowfall Of 12 To 16 Inches. * Timing…Steady Light Snow Will Overspread The Region Later Tonight…Or During The Pre-Dawn Hours Thursday…Generally Between 2 And 6 AM. The Heaviest Snowfall Is Expected To Occur Later Thursday Afternoon And Thursday Night…When Snowfall Rates Of An Inch Or More Per Hour Can Be Anticipated. Snow Should Slowly Come To An End Friday Morning. * Winds…North 5 To 15 Mph…With Gusts Up To 25 Mph. * Impacts…Slippery Travel Conditions Will Start To Occur During The Early Morning Commute To Work And School On Thursday. The Evening Rush Hour On Thursday And The Early Morning Commute On Friday Should Be More Significantly Affected. Instructions: A Winter Storm Warning Means Significant Amounts Of Snow… Sleet…And Ice Are Expected Or Occurring. This Will Make Travel Very Hazardous Or Impossible. 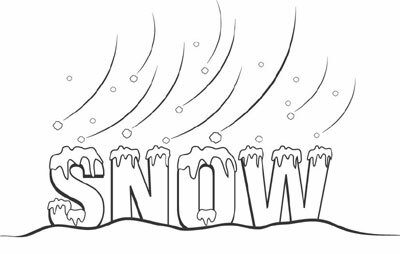 Please Report Snowfall And/Or Ice Amounts To The National Weather Service By Calling Toll Free At 1-877-633-6772…Or By Email At Bgm.Stormreport@Noaa.Gov.